Eskimo's Macros and More: #5: Workspace Customization - User Menus. 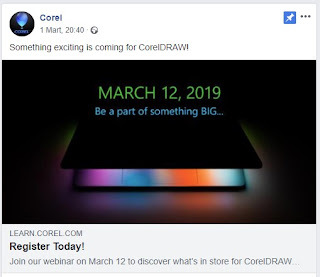 Everything CorelDRAW: CorelDRAW Graphics Suite 2019 is here! Explore new professional graphics possibilities on Windows, Web and macOS! Graphics Feeds - Other languages: CorelDRAW macOS için geliyor!!! Eskimo's Macros and More: #4: Workspace Customization - Adding a Command to a Context Menu. Eskimo's Macros and More: #3: Macro - "Weed Box"
Eskimo's Macros and More: #1: Getting started with using VBA macros (What do you do with a .GMS file?). Gérard on Graphics: Corel is looking for beta testers! Moving my blog posts to [Medium], where I will be posting my progress on my VR research and experiments. Continuing my work on Elements of Design, Rowena Reed Kostellow and the structure of visual relationships, by Gail Greet Hannah. In the task 7 Constructions, it is asked to create constructions made up of elements in a variety of materials, which may be used as found, or bent or shaped in some way, and then combined. Construction has to be abstract and emotionally expressive.